ISBN: 9781943876037 Publisher: Glitterati Incorporated Territory: USA & Canada Size: 11 in x 14 in Pages: 256 Illustrations: 300 color Hardcover . 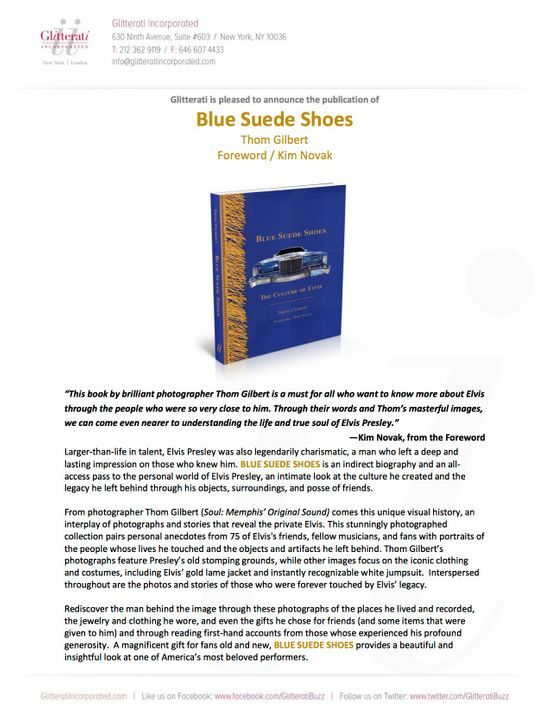 This is a new take on the Elvis legend, a visual homage combined with personal stories from those who knew him. August 2017 marks the anniversary of Elvis's death. An all-access pass to the private world of Elvis Presley, as photographed by Thom Gilbert, who went behind the scenes to capture these stunning photographs of the people and possessions closest to the King himself. The result is a unique portrait of the man who was the most celebrated pop culture icon of the 20th century.